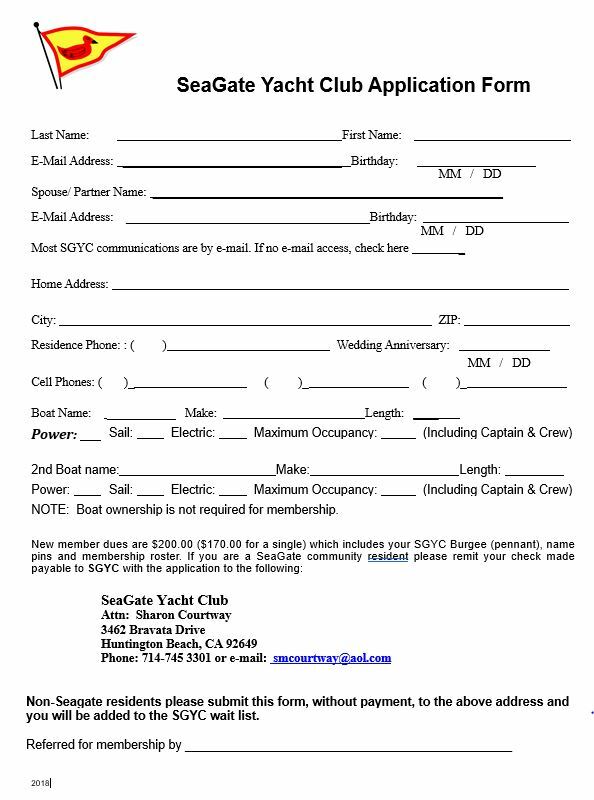 Thank you for your interest in joining the SeaGate Yacht Club. Print out the form. Fill in the information and mail to the address below.